Below is a list of the most frequently asked questions regarding plaintiff funding, also referred to as lawsuit funding and settlement funding. If you cannot locate the answer to your question, please contact us. Our representatives are standing by 24/7/365 days a year to assist you with all of your plaintiff funding needs. What Is Plaintiff Funding or Lawsuit Funding? Plaintiff funding is cash provided to plaintiffs as an investment in their pending lawsuit case. Plaintiff funding is not a loan. There is no credit check, no employment verification and no income required. How does lawsuit funding work? Basically, the law allows for a third party funding company like Multi Funding USA to invest its own capital in your case, that you pay back out of your future settlement. That way you can get access to the funds that you need now instead of playing the waiting game until your case is settled. Is lawsuit funding the same as litigation funding or lawsuit settlement funding? The short answer is “yes.” Litigation funding and settlement funding are just another way to say lawsuit funding. However, no matter what term you use it’s important to remember this is not a loan. The word “loan” implies that repayment is required. With lawsuit funding, if you lose your case you don’t have to pay back one red cent to the lawsuit funding company! What we do is look at the merits of your case. If we feel that your case will settle in your favor, we will make the choice to invest in your case. The exact amount that we can provide as lawsuit funding will be determined by the merits surrounding your particular situation. The investment we make in your case is classified as a non-recourse debt. Which means that if your case closes in your favor you pay us back out of the money you receive from your settlement. In the event that your case does not settle in your favor, we write off the loss, so no matter what happens, you NEVER have to pay a penny to us out of your pocket! And you can rest assured that in no way, shape or form will we be interfering with your case! Your attorney will continue to handle it with no input from us whatsoever. Does Plaintiff Funding Work Like A Traditional Loan? No, plaintiff funding is an investment not a loan. If you do not win or settle your lawsuit case you are not required to repay the amount funded. Several lawsuit case types are eligible for plaintiff funding. What Type Of Cases Are Eligible For Plaintiff Funding? Although personal injury lawsuit cases are the most common in regards to acquiring plaintiff funding, several other types of lawsuit cases are also eligible for plaintiff funding. Can I Get Plaintiff Funding From My Attorney? No, the American Bar Association prohibits attorneys from lending money to clients with the exception of case expenses. This rule was developed to prevent a conflict of interest between the attorney and client. Plaintiff funding must come from a plaintiff funding company. How Often Can I Apply For Plaintiff Funding? You are welcome to apply as many times as you wish. It is very common for plaintiffs to require more than one round of plaintiff funding while their case is still pending. Some plaintiffs require monthly funding. Does Multi Funding Get Involved In My Lawsuit Case? No, absolutely not! We will never participate in your lawsuit. You and your attorney maintain complete control over your case. Multi Funding is only there to provide you with plaintiff funding. How Do I Repay My Plaintiff Funding If I Win My Case? Plaintiff funding is repaid from the proceeds of the lawsuit case once the case is either settled or won. Repayment occurs at the same time that the proceeds of the claim are paid out to the plaintiff. There are no monthly payments to worry about. You pay nothing until you win or settle your case. What Happens If I Lose My Lawsuit Case? 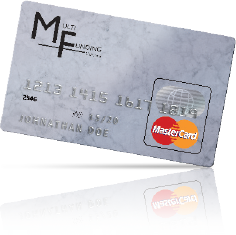 Multi Funding’s plaintiff funding is 100% RISK FREE. You only repay the cash if you win or settle your lawsuit case. In the unfortunate circumstance that you lose your case, you owe us nothing. Does Plaintiff Funding Require Any Up Front Costs? No, there are never any upfront fees to apply for plaintiff funding. How Long Does The Plaintiff Funding Process Take? The entire process is fast and simple. We can approve your plaintiff funding application and put cash in your hands in as little as 24 hours from your initial contact with us. Yes, in this time of economic crisis, plaintiff funding has become an essential resource for plaintiffs who find themselves in financial distress. Does Multi Funding Notify The Defendant’s Insurance Company? No, we will only contact your attorney to request the necessary documents to begin processing your application for plaintiff funding. We never request any documents or information that falls under attorney-client privilege. All information obtained will remain confidential. We respect your privacy. How Will My Attorney Feel About Plaintiff Funding? Attorneys are usually sympathetic to the financial burden that a pending lawsuit case can bring to a plaintiff. Often, a defendant or insurance company will attempt to settle a case prematurely by offering the plaintiff a lower offer than what the case may actually be worth. Plaintiff funding can bring financial relief to a plaintiff allowing their attorney the time to negotiate a higher settlement. In fact, attorneys refer Multi Funding to their clients who require financial assistance during a pending lawsuit. Do I Need Good Credit To Obtain Plaintiff Funding? No, plaintiff funding is not a loan. Your credit history has no bearing when applying for plaintiff funding. Bad credit or no credit will not prevent you from obtaining plaintiff funding. In fact, we don’t even check your credit. Can you fund in the state I live in? Multi Funding USA is fully registered to fund in New York, New Jersey, Massachusetts, Connecticut, Pennsylvania, Florida, Illinois, Mississippi, Louisiana, Texas, Arizona, California, and Washington. 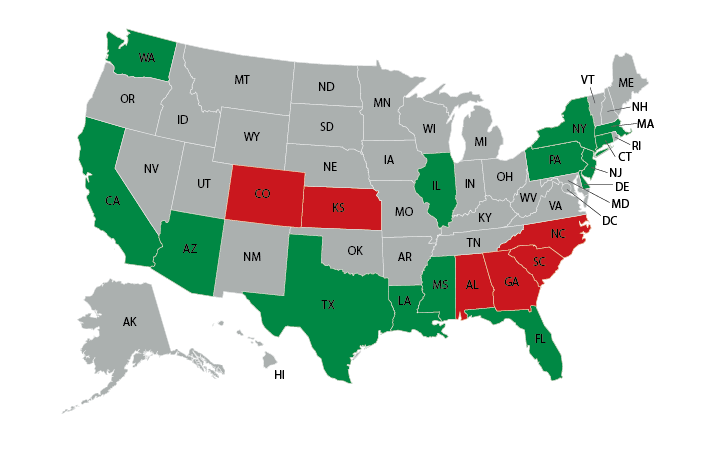 Please see the map below for states we cannot fund in (red). While we cannot guarantee funding in the states colored gray, we can accept applications and look into the possibility of funding in those states. In dollar amounts, we will fund anywhere from $500 to $500,000.00. Are There Restrictions On What I Can Spend the Money On? No, you are free to spend the money as you wish. Buy a new house, take a vacation, pay for you or your family’s school tuition, start a business or just use it for daily expenses. Can I Just Get a Bank Loan? Banks do not provide loans to plaintiffs based on the merits of a pending lawsuit. That’s what makes plaintiff funding through Multi Funding such a valuable resource for plaintiffs in financial distress. Can I Get Cash Against An Insurance Claim? Yes, we provide cash against insurance claims. The process is simple and fast much like the plaintiff funding process. Can I Get Cash Against My Annuity Plan? Yes, cash against your annuity plan provides you with access to your cash now instead of waiting for your monthly annuity payments. What Other Plaintiff funding Types Are Offered? We can approve your lawsuit funding quickly and provide you with the CASH you need and deserve in as little as 24 hours. As always, there is absolutely NO obligation to repay us if you lose your case. Why should I choose Multi Funding USA for my lawsuit funding needs? Multi Funding USA is the #1 provider of lawsuit funding, options including pre settlement funding, post settlement funding, surgical funding, and maritime funding. In fact, Multi Funding USA has prepaid millions of dollars for lawsuit funding during the past twelve months to people just like you, allowing them to breathe a sigh of relief and emerge from the anxiety of financial trauma. If you need CASH now, before your lawsuit settles, lawsuit funding is right for you. Our on-hand capital and the skills of our experienced top-notch legal staff allow funding to happen quickly and without a lot of the proverbial red tape, allowing you to begin putting your life back together.